With the VisionDome range, the 360 Vision Technology in-house research and development team have used advanced technology and highly innovative design to raise dome camera assembly and functionality to new levels. The VisionDome range from 360 Vision Technology integrates fully with all leading DVR, Matrix and IP transmission products. 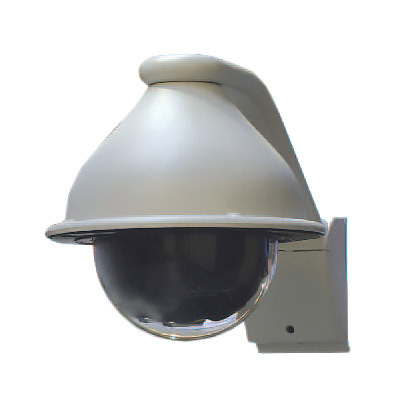 The range includes internal VisonDome and external VisionDome cameras. VisionDome camera feature a number of highly innovative features including using 400,000 stepper motors and these combined with the pan bearing mechanism and direct stepper tilt control, make the domes smooth and quiet while increasing preset accuracy. 360 Visions choice of excellent quality electronic components ensures high consistently high video quality and industry leading product reliability. The use of high quality components ensures reliable operation with minimal maintenance. VisionDome cameras are available in both colour and mono camera versions to suit both normal and low light level applications. Back light compensation and white balance adjustments ensure the images produced from the cameras are of the highest quality, even in difficult lighting conditions.